Home » New Pokies » Join Tarzan on his adventures in the latest Microgaming pokie! Microgaming has just announced the release of their latest video pokie game Tarzan. As you already know the game is based on the world known story about Tarzan and Jane and their adventures in the jungle. This is a very well known story so it’s no wonder why Microgaming chose to go with this theme. The pokie has 40 active pay lines with 4 rows and 5 reels. Once you open the game you will see that a lot of attention has been paid to the visual details and you will notice a strong resemblance with Jungle Jim El Dorado which is also one of the newer Microgaming video pokie games. 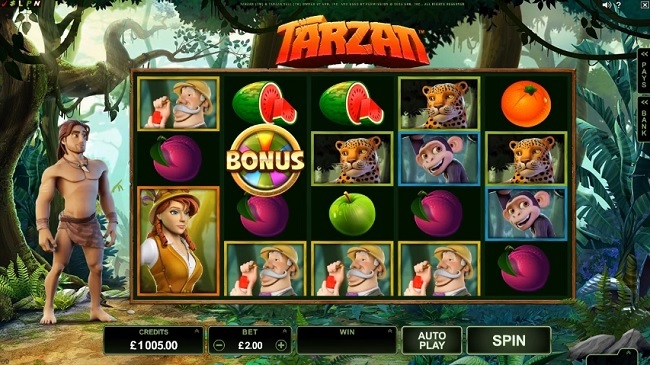 The bet levels on Tarzan can vary from the minimum $0.40 to the maximum $40 per spin. As always Microgaming prepared a surprise for all their players in the bonus features of the game. 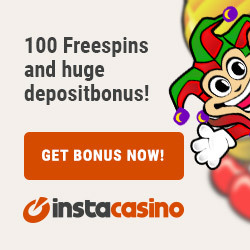 Players can win free spins, cash prizes and even a Jackpot of 1,000 x total bet. We like the fact that the new Microgaming video pokie games, including Tarzan, are on a very high visual level. We love the animation of Tarzan on the left of the reels and we think that it gives the entire pokie a very attractive look. Still our most favorite part of the game is the bonus features. We love the fact that the bonus is triggered only by landing 3 bonus symbols and the features are won on the bonus wheel. We like the cash prizes and the hippo bonus, but still the jackpot and the free spins are way more attractive. If the bonus wheel lands on the jackpot sign then you will win a staggering 1,000 x total bet. The free spins are attractive because of the Rolling Reels and the Growing Wilds feature. During the 12 free spins players can have multiple wins in each spin as the winning symbols are removed from the reels and new ones drop on top to take their place. Also as each spin is played the number of growing wilds increases by one reaching up to 15 during the last spin. This means that you can end up with a big number of wilds on the reels as you reach the end of the bonus round. We really can’t find many details that we don’t like about this game. The visual appearance is great and the bonus features are interesting. The only thing we can say we would want to change is the fact that the free spins can’t be re-triggered. Still the Rolling Reels and the Growing Wilds features compensate for this small detail. Tarzan has everything a player could want in a video pokie game so yes we can recommend it for real play. The visuals are great and the bonus wheel has every feature you could think of. The free spins can pay big and there’s always a chance of landing the jackpot prize of 1,000 x total bet.